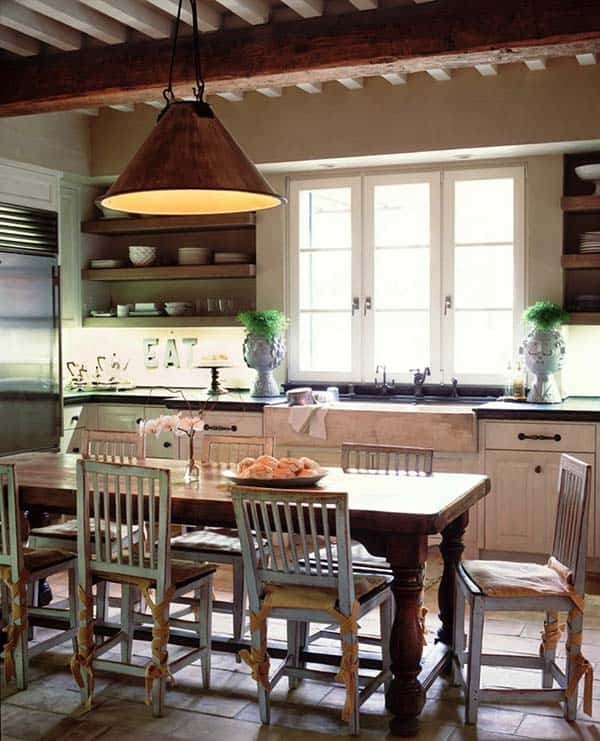 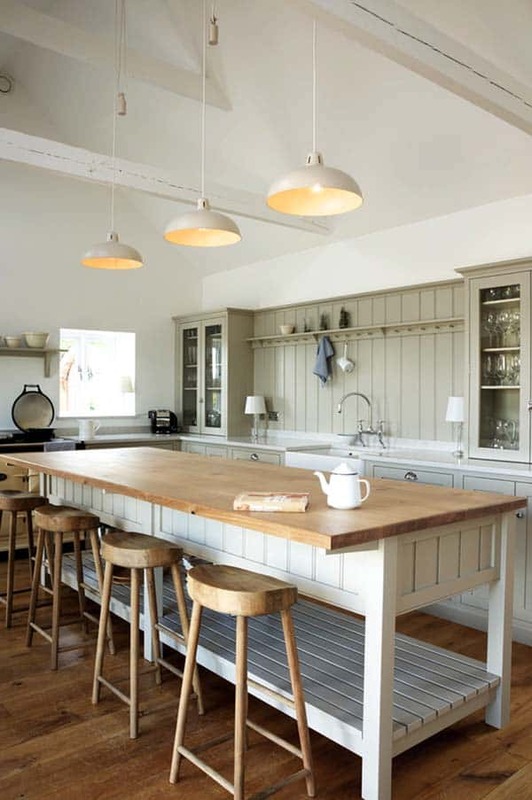 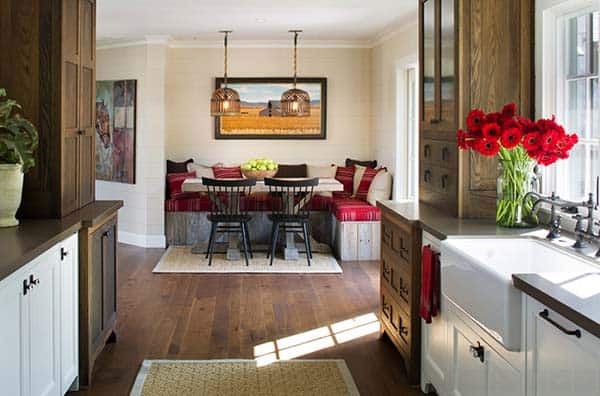 Farmhouse style kitchens are very charming and rustic, with plenty of raw wood and natural light, they offer a relaxed atmosphere, perfect for entertaining guests. 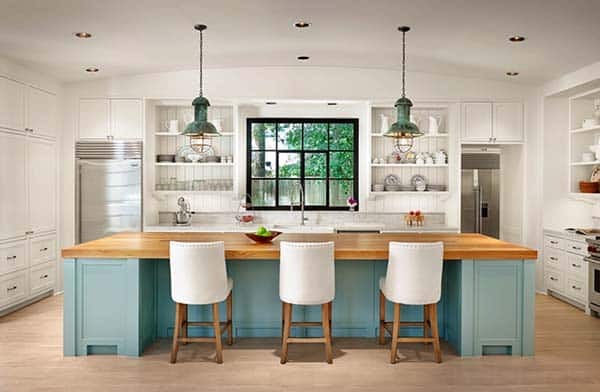 There is something about this style of kitchen that gets your attention, but not in the same way a contemporary kitchen would. 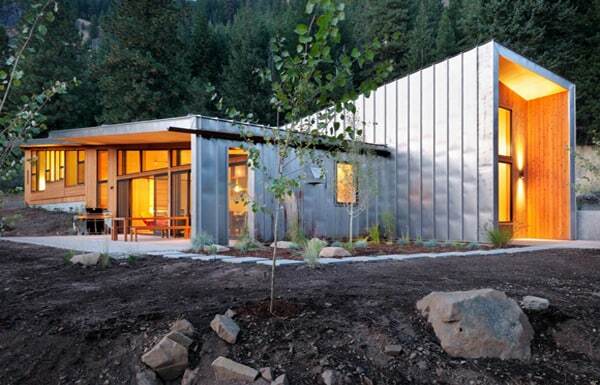 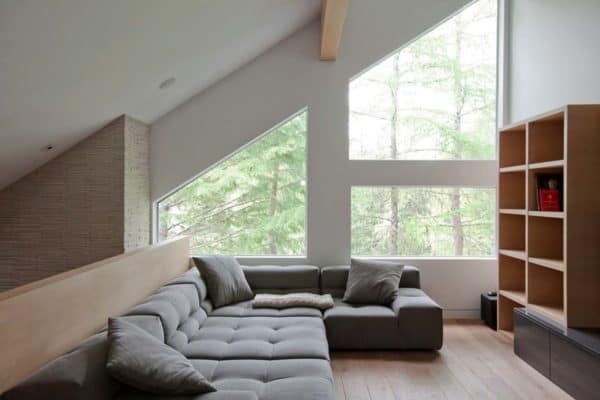 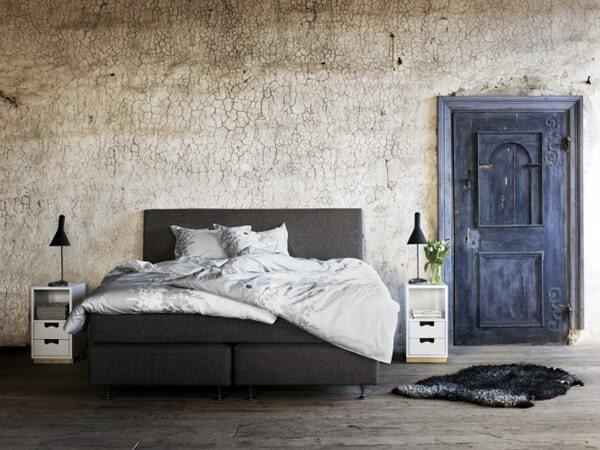 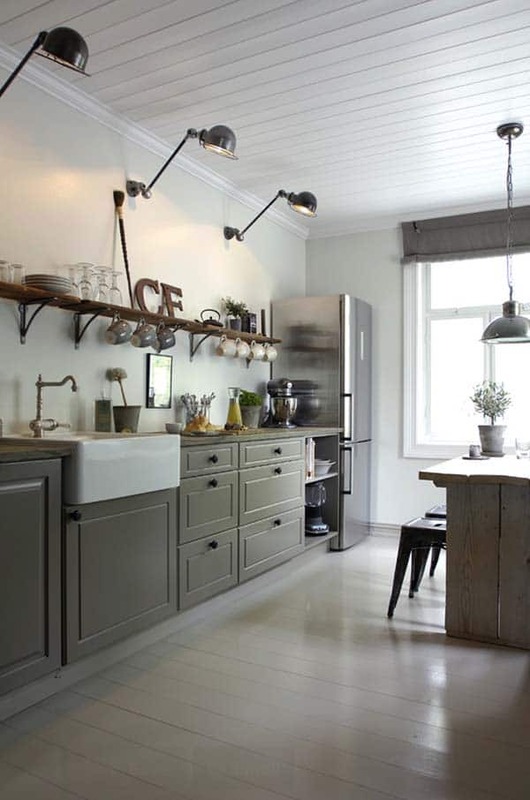 They offer a romantic atmosphere of raw materials and clean design, an old-world aesthetic that has homeowners wishing for the quaint and everyday lifestyle that these spaces exude. 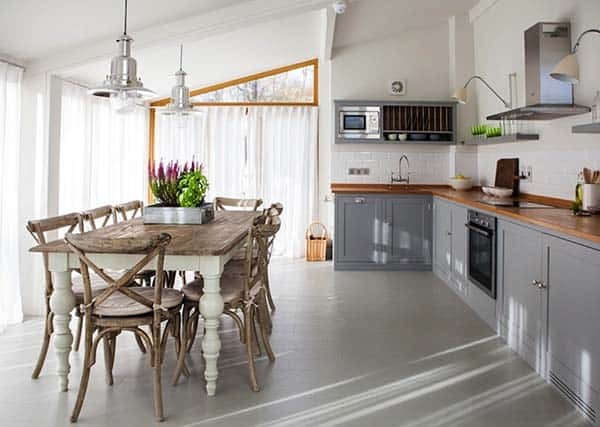 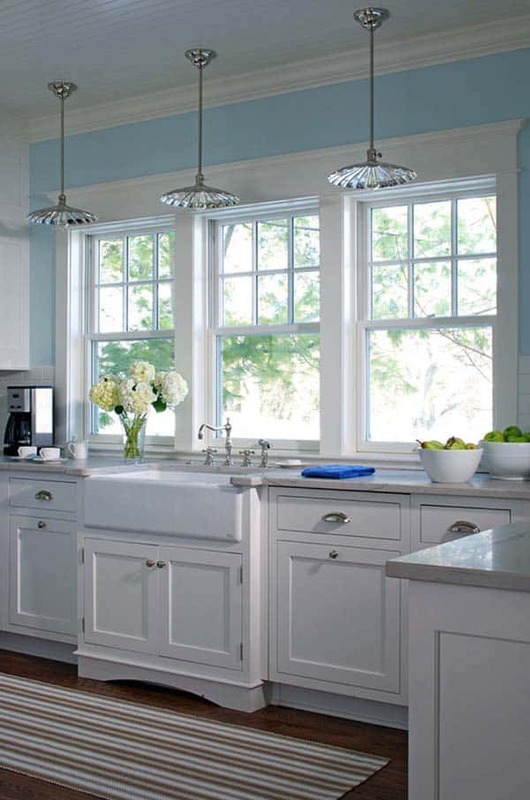 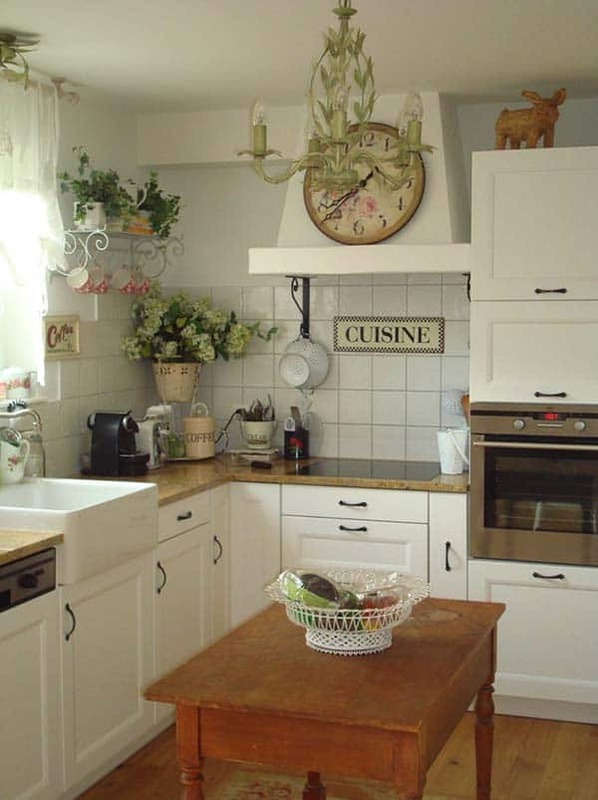 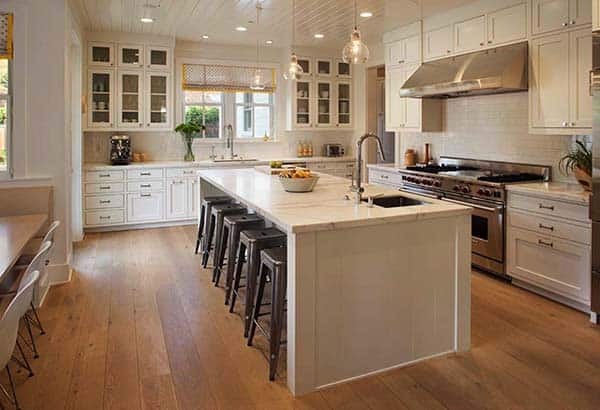 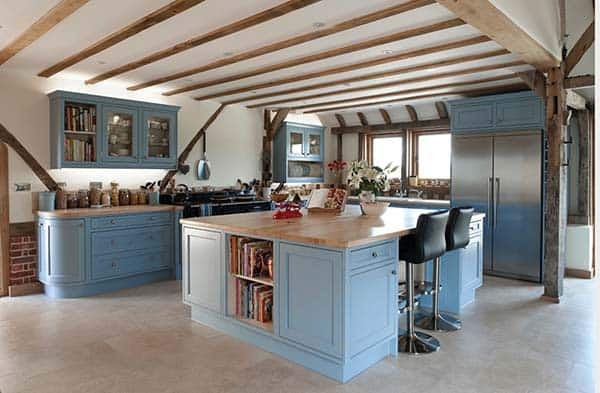 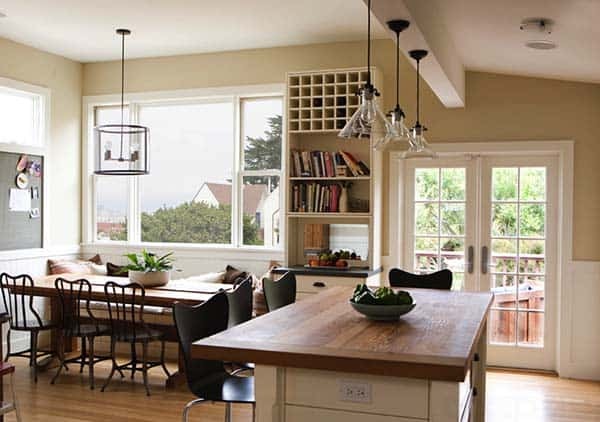 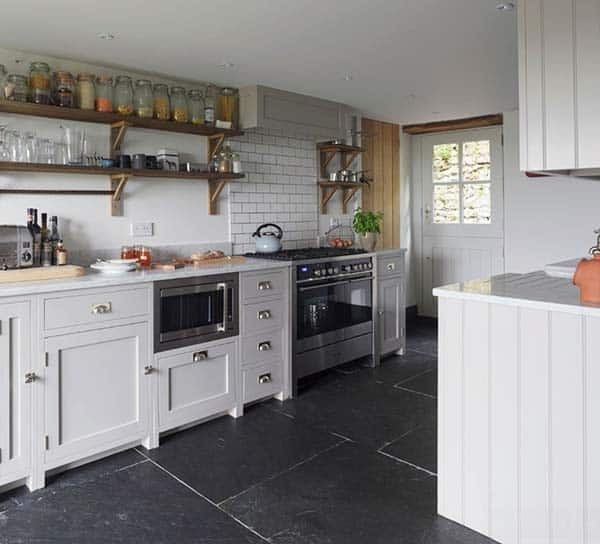 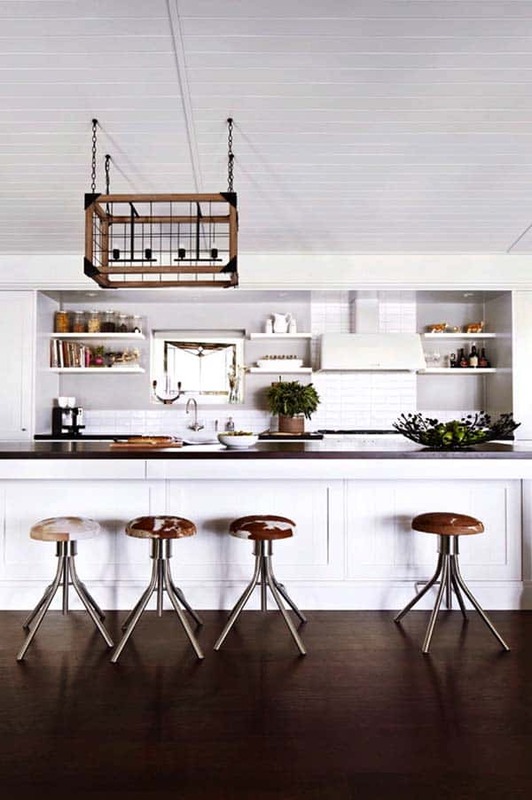 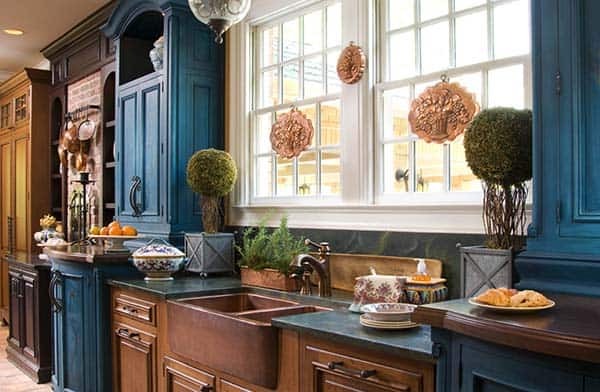 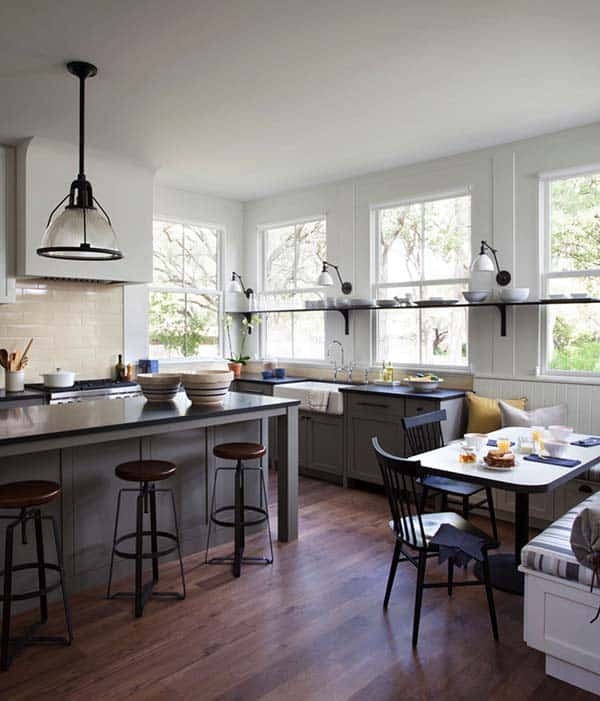 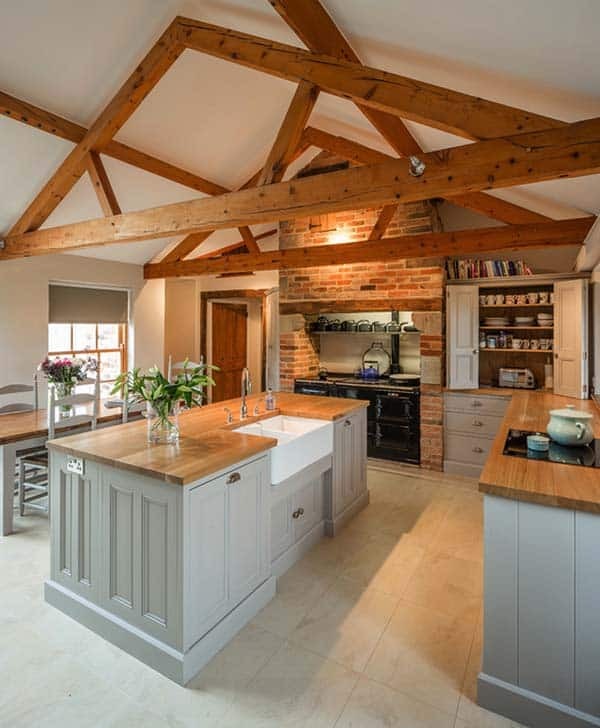 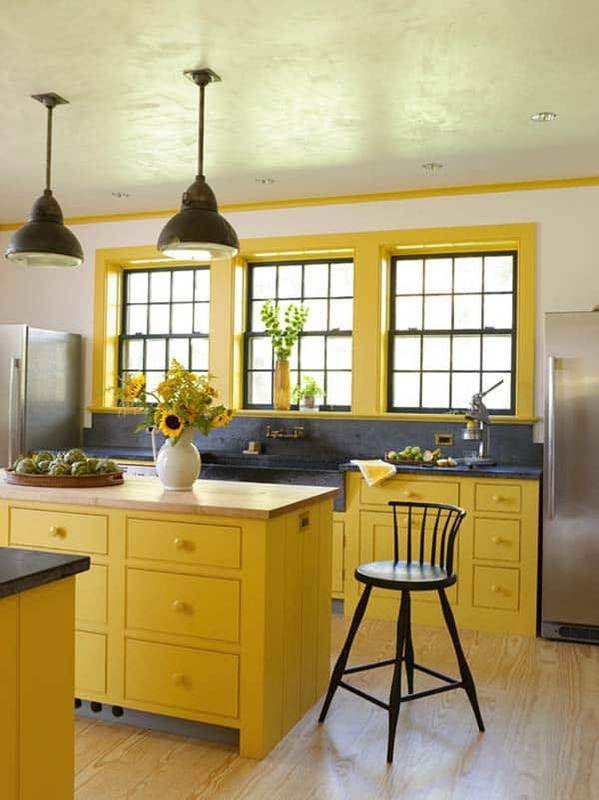 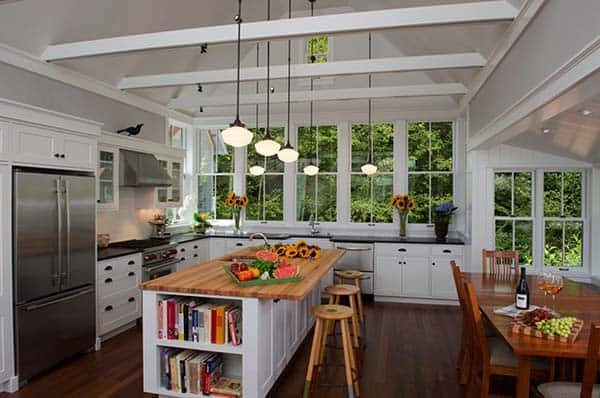 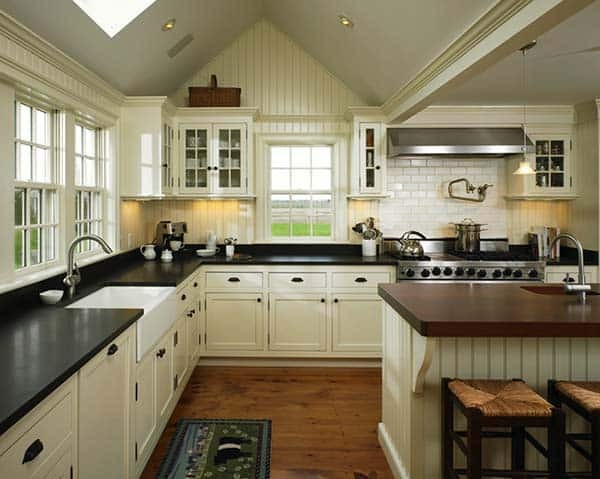 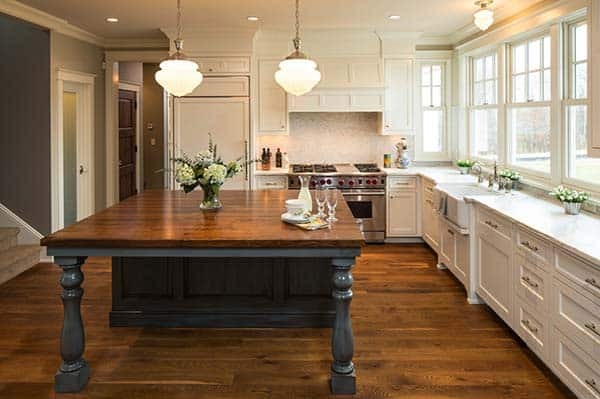 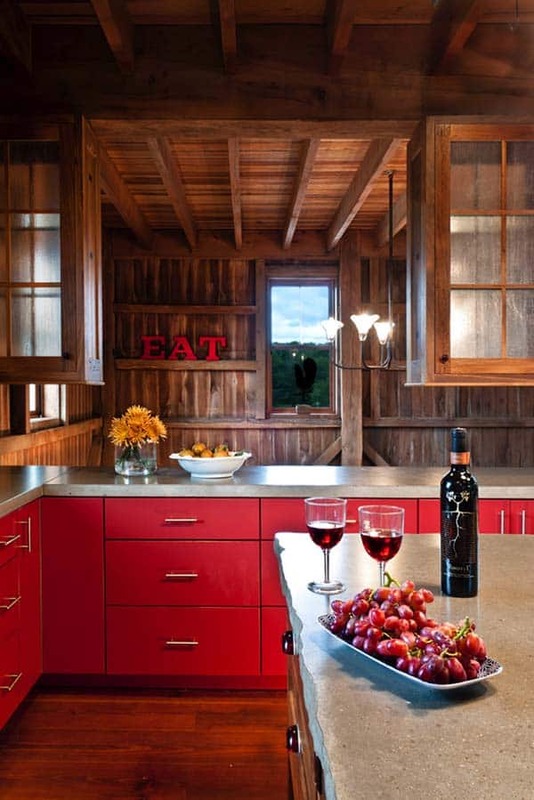 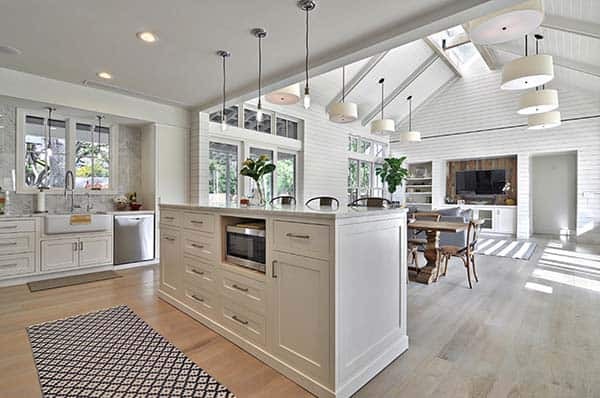 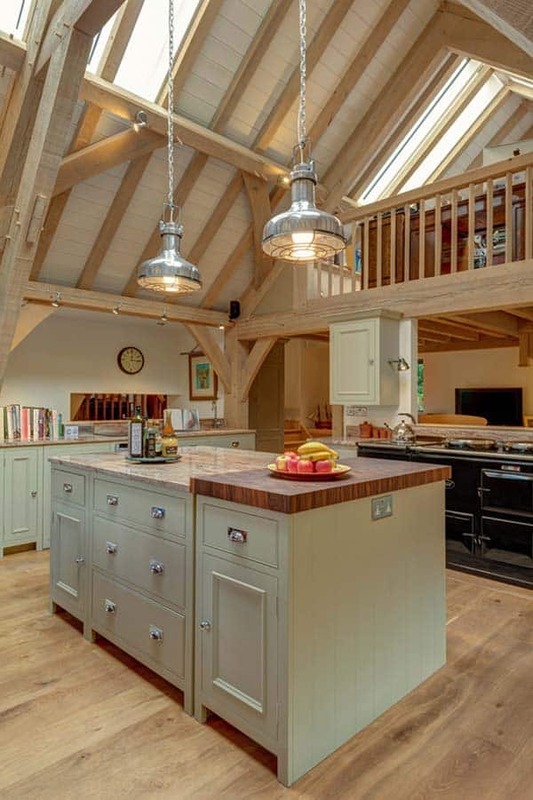 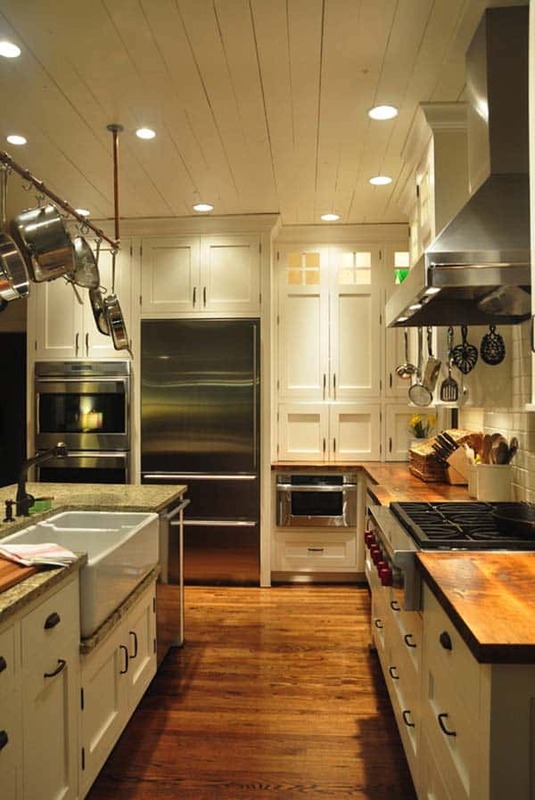 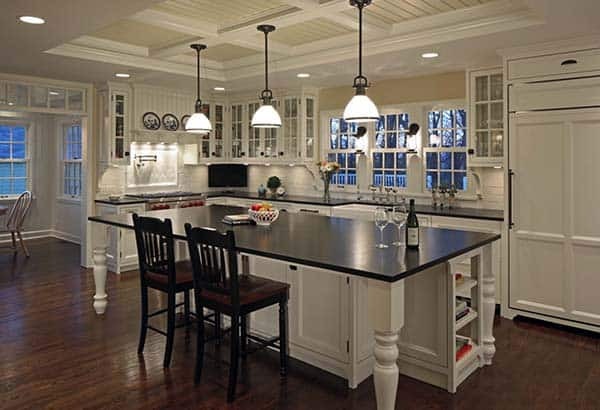 Each of these farmhouse kitchens that you will see below offers a little something different, some are rustic, some offer a little vintage, while others offer more of a modern-contemporary style, that is more simple and beautiful. 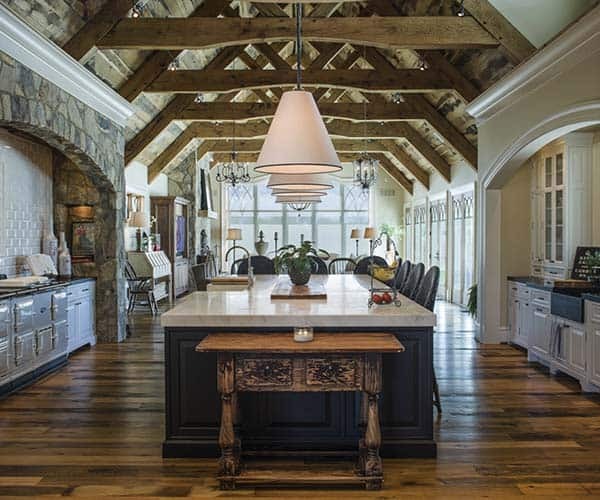 These kitchens are so cozy you would want to spend all day in them, cooking, entertaining, or just relaxing with a good book or your laptop. 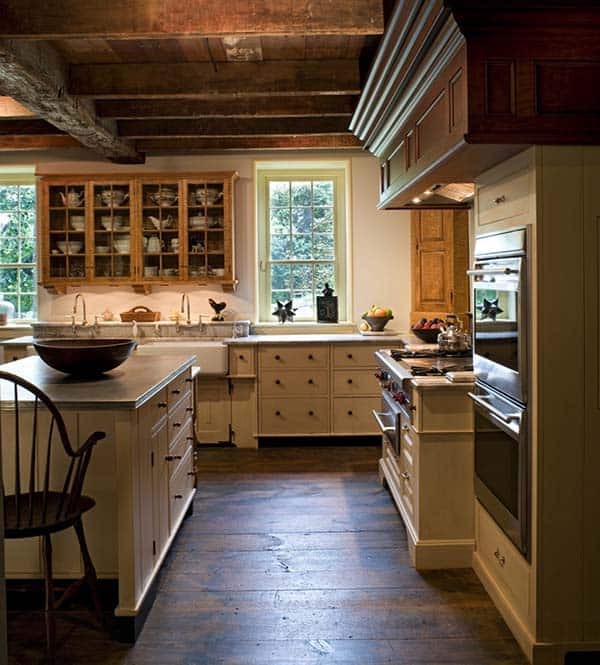 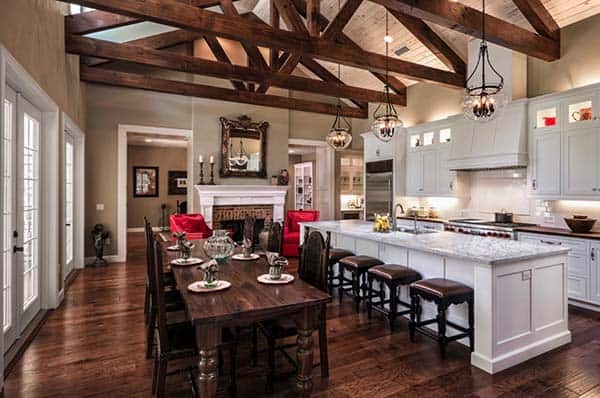 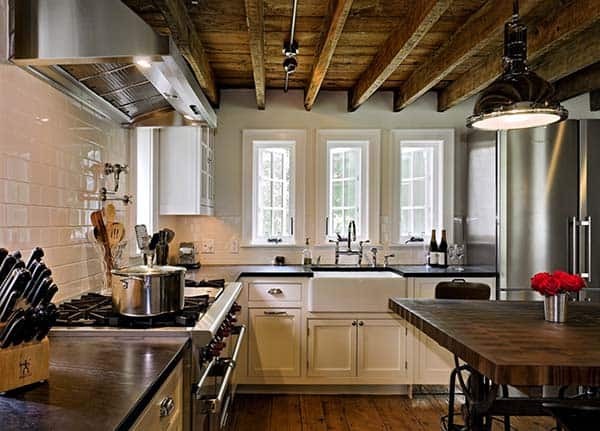 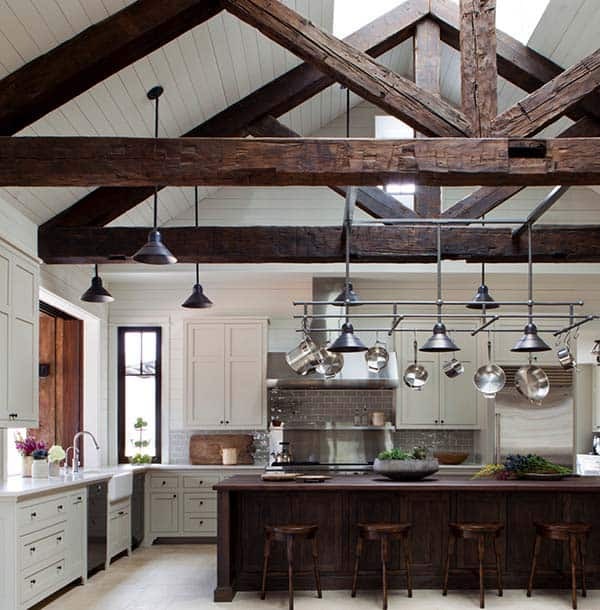 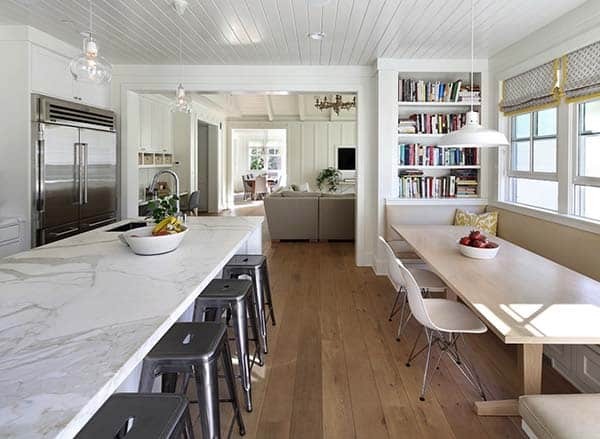 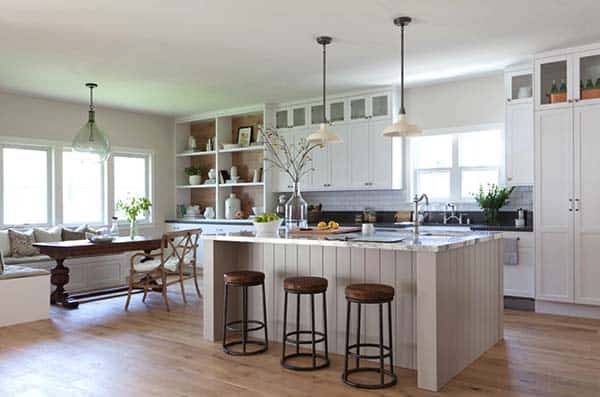 Most farmhouse style kitchen offer whitewashed walls, wood beams on the ceiling, wood planked flooring, natural light and plenty of character. 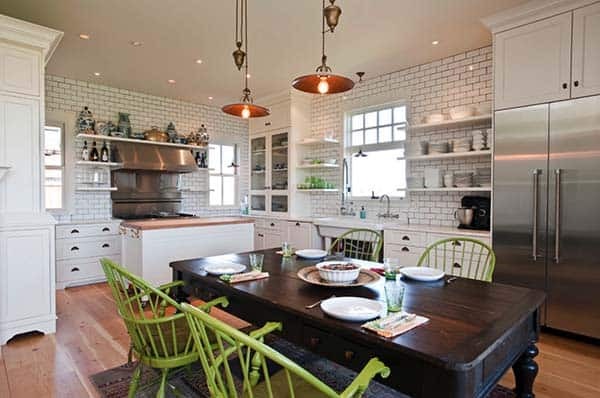 There are a couple of examples where tile has been installed on the flooring, which creates a warm, stunning effect. 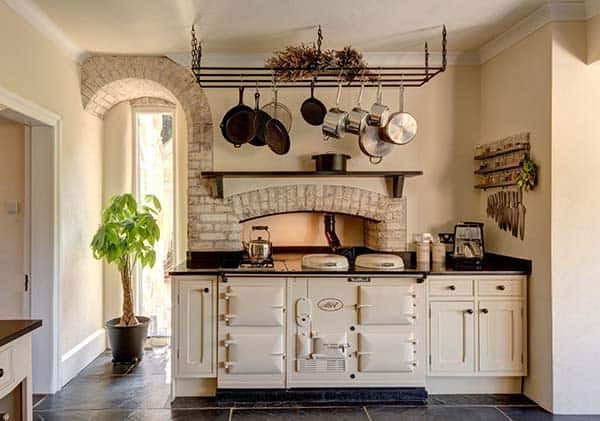 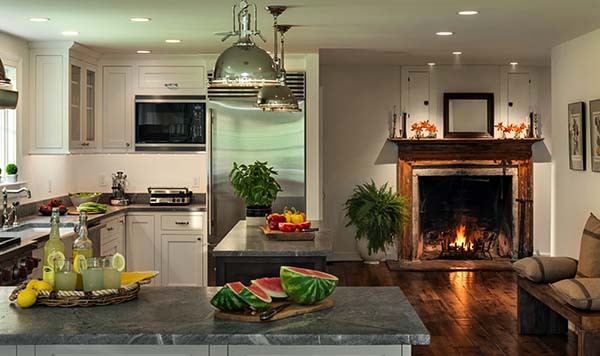 A stove or fireplace in the kitchen can really complete the farmhouse look, and keep the kitchen warm on a chilly winters night. 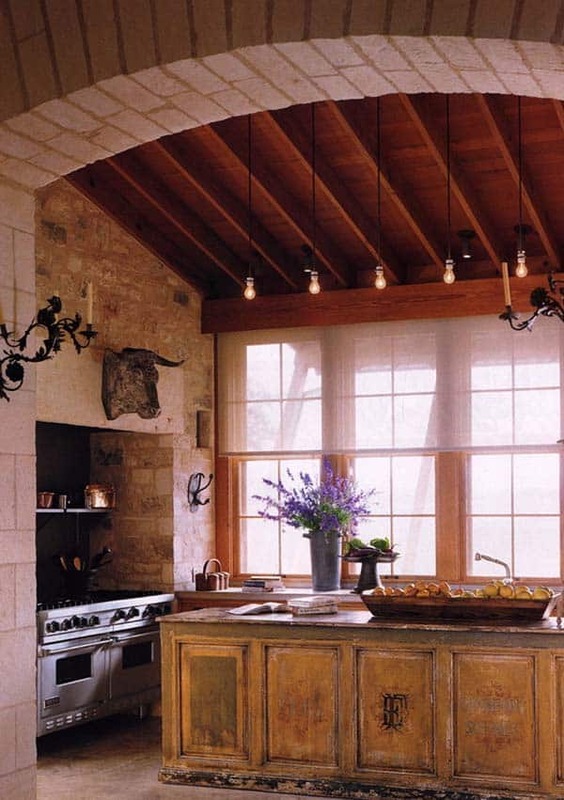 Brick and stone is another material that you will sometimes see in this style of kitchen, it adds warmth and texture to the space. 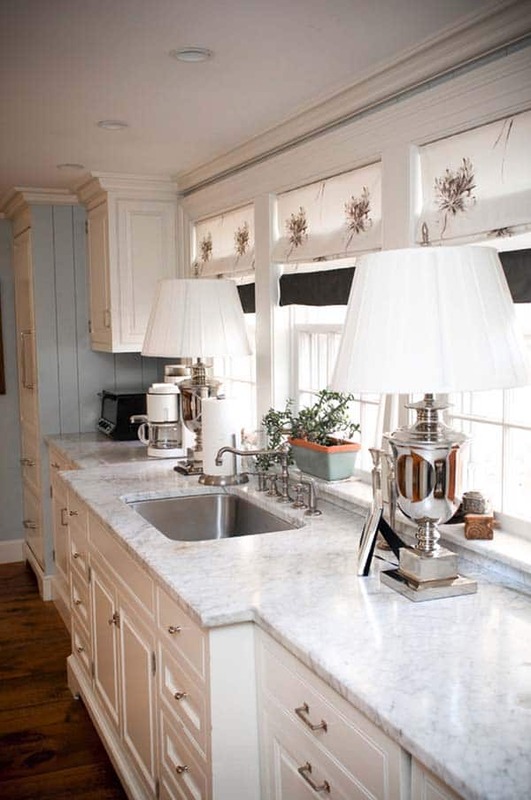 It looks great on a backsplash or installed as a focal point from floor to ceiling around the stove. 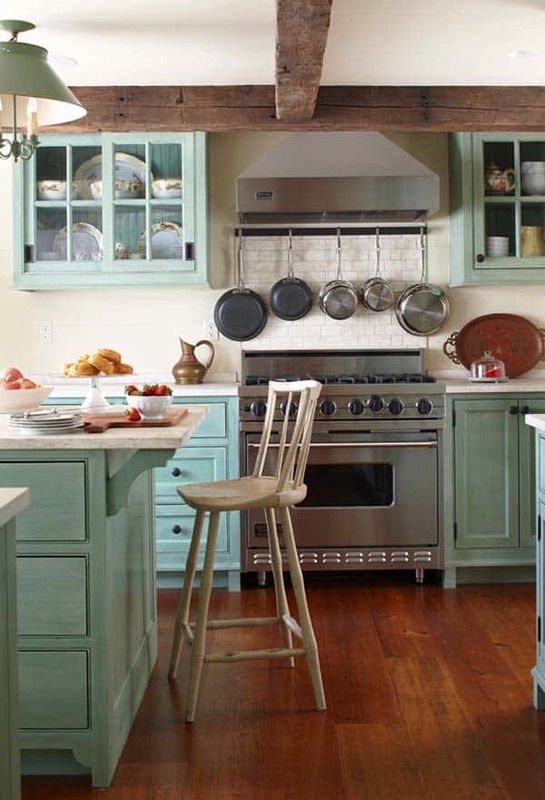 Shabby chic or rustic style furnishings, vintage whitewashed cabinetry, wood block countertops, there are so many options. 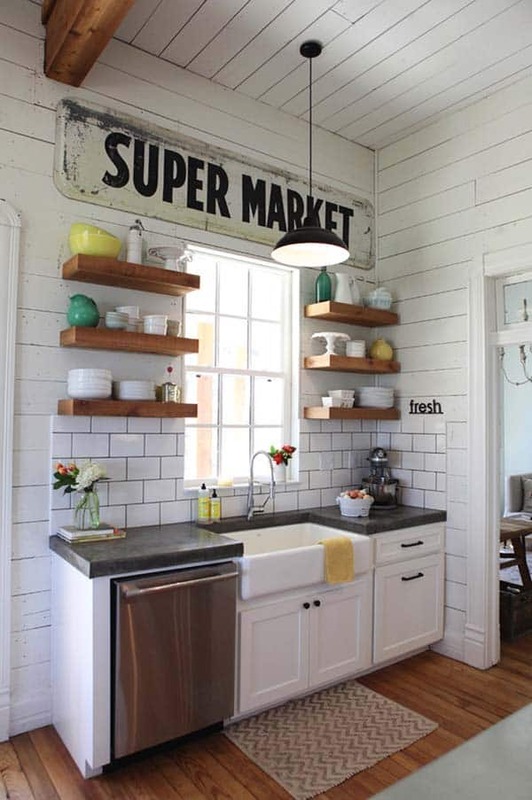 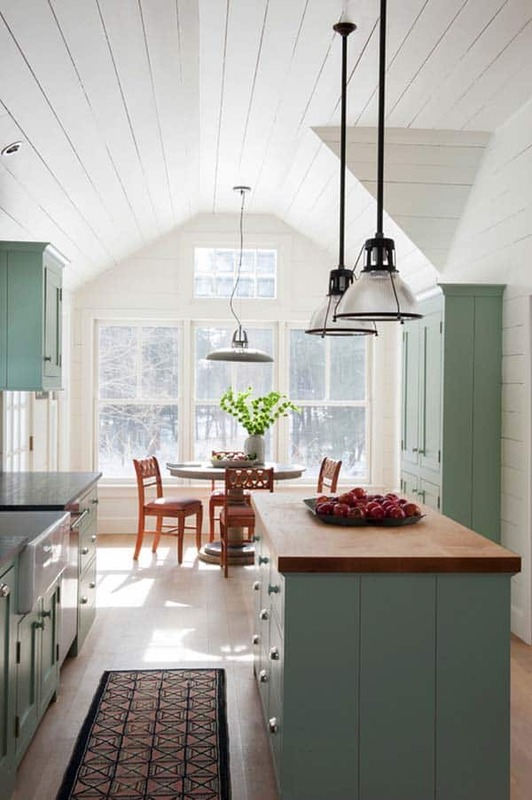 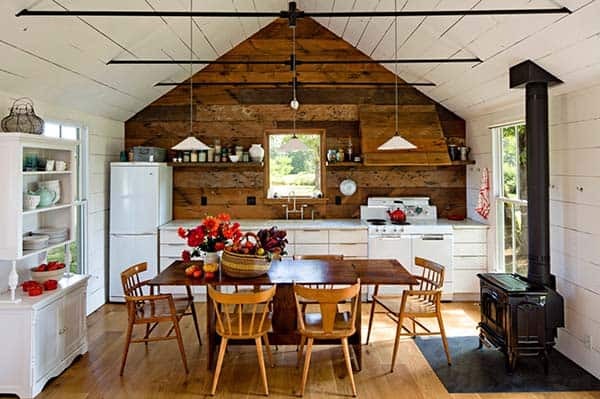 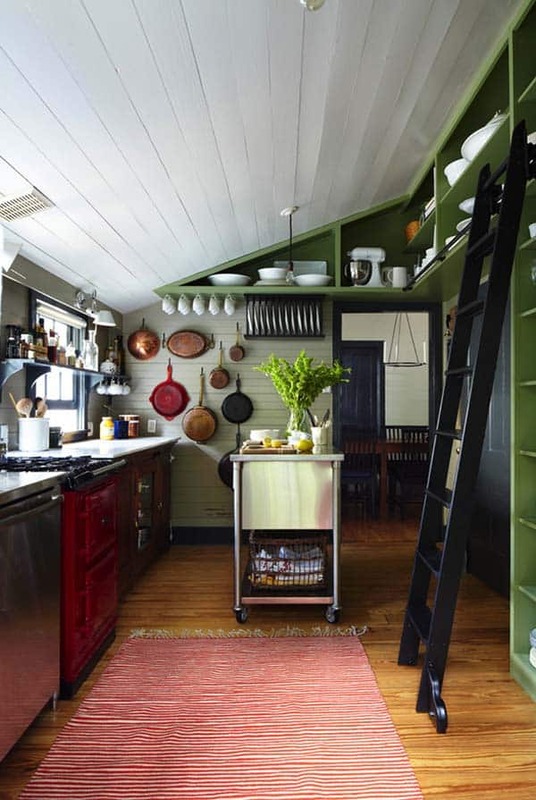 Have a look at the images below and gather some inspiration for your farmhouse style kitchen! 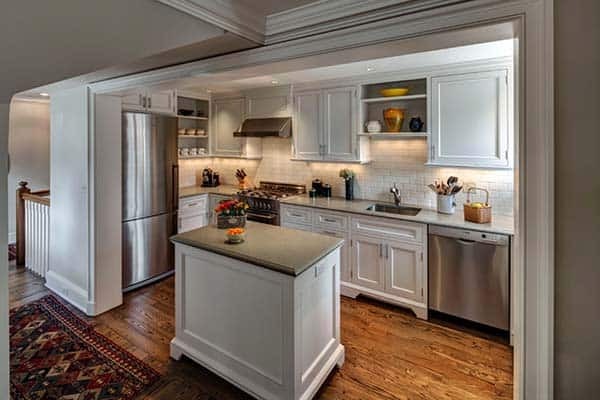 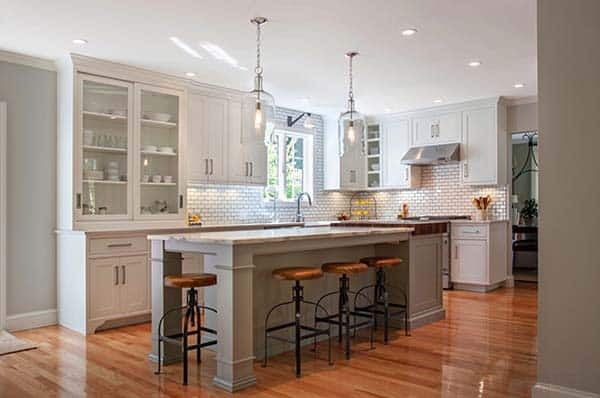 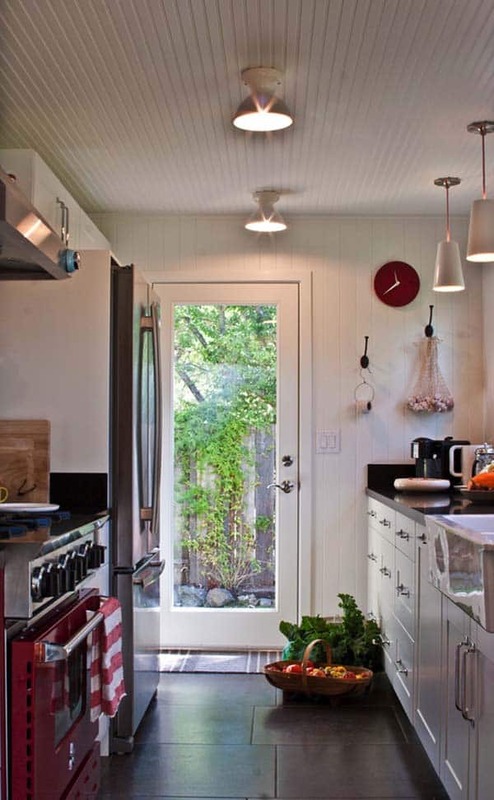 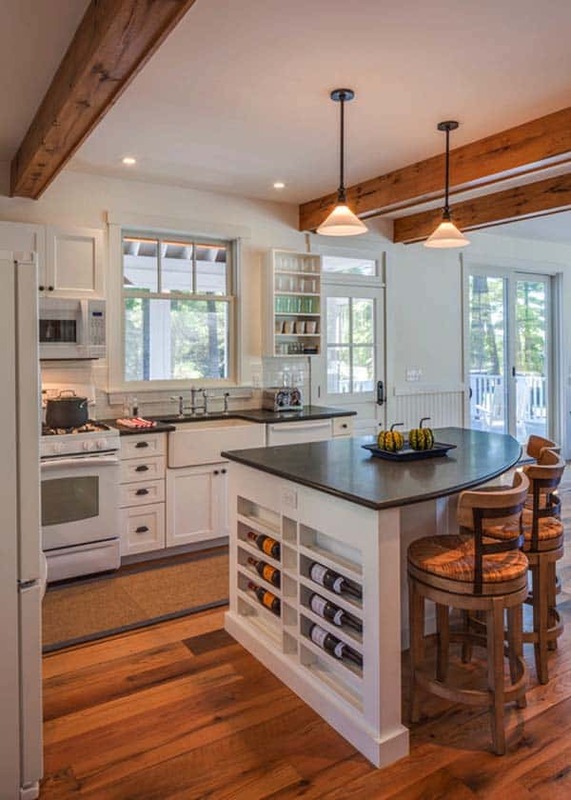 Looking for more kitchen inspiration on 1 Kindesign?